Dental bonding is a great way to quickly and affordably repair small imperfections on teeth. 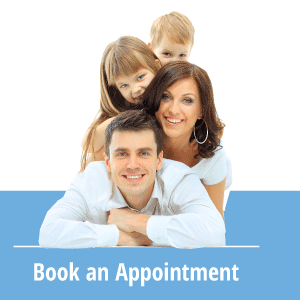 In a way, bonding is like a simplified version of a veneer or a crown. While it can’t withstand the kind of abuse that those solutions can, bonding works well in a variety of situations. Like many people, your teeth may develop cosmetic problems despite your best efforts. Even if you are diligent about maintaining excellent oral hygiene and visit the dentist regularly for cleanings and oral exams, issues may arise. Whether you chip a tooth while playing sports or start to notice discoloration, which can occur naturally with age, you have plenty of options. Bonding is among the simplest and most cost-effective of them. As the term implies, dental bonding is the process of bonding tooth-colored resin to the teeth to mask imperfections. In addition to providing cosmetic relief, bonding can be used to fill cavities. Once the resin has been bonded to the tooth, it is basically permanent. That doesn’t mean that you’ll never have to have it touched up or replaced. It just means that it is very unlikely to fall off or break away. As promising as dental bonding may sound, there’s no way to know if it’s right for you without consulting with a dentist. Your dentist will be able to analyze the tooth in question to determine whether bonding makes sense. Keep in mind that bonding isn’t appropriate in all cases. For instance, it can’t usually be used on teeth that undergo a lot of pressure from biting or chewing. It’s also not appropriate for covering large areas of decay or major damage. If you have very small imperfections on your teeth, bonding could be the answer. Many people opt for this procedure because it is quick, easy and affordable. After looking at the tooth, however, the dentist may recommend a veneer or a crown instead. It’s important to follow a dentist’s advice in these matters. Local anesthesia is not usually necessary. If a cavity is being filled, it may be used. Otherwise, the dentist probably won’t bother with it. The dentist will examine the area where the resin will be applied to determine the appropriate shade. Luckily, there are many shades available, so it’s easy to closely match the appearance of the surrounding teeth. The next step is to prepare the tooth for the bonding material and resin. After roughening the surface of the tooth a little, the dentist will apply a conditioning liquid that will help the bonding material work better. Tooth-colored resin will be applied to the affected area. The dentist will carefully mold it and smooth it to ensure that it look like your other teeth. The goal is to make it look as natural as possible. Once the dentist is satisfied with the appearance of the bonding material, a special light will be used to cure it or harden it. This is when the real bonding happens, and it usually only takes a minute or two. After the resin is successfully bonded to the underlying tooth, the dentist will go back over it to ensure that it look natural. Some trimming or shaping may be done to make it look right. In some cases, it may be all set immediately after it is cured. In most cases, dental bonding takes between 30 and 60 minutes per tooth. It all depends on the nature of the underlying problem and various other factors. A skilled dentist will take as much time as needed to ensure that your teeth look flawless. If you’re concerned about caring for your teeth after undergoing dental bonding, don’t be. You don’t actually have to take any special steps to keep your teeth in good shape. Just make sure to use good oral hygiene, which includes brushing and flossing at least two times per day. It’s also crucial to come in for regular oral exams and cleanings. During these appointments, the dentist will keep an eye on the bonded areas to make sure that they are holding up well. In the unlikely event that you notice a problem with your dental bonding, just schedule an appointment with your dentist. Bonding usually lasts three to 10 years, and periodic touch-ups or replacements may be needed.